Looking for a Townhome in a quiet Neighborhood? Look no further! We have a new listing on the market, listed at $529,000 is Unit #2 located 1163 W. 11th Street in San Pedro. At 1,576 square feet, this unit is one of the larger townhome spaces that you will find available only in select neighborhoods of San Pedro. Approaching the property, you will find the building situated on a curved street, missing much of the daily traffic and leaving you with a quaint and quiet street. The building in particular is only home to 7 townhomes, which allows for a quiet living experience, and ample space for each owner. Each owner also has two parking spaces in the subterranean garage, as well as a small storage closet that can be used to house items that do not receive daily use, such as holiday decorations. You will also notice the surrounding street and property is also line with Jacaranda trees, they add a vibrant splash of color your street-side appeal. This unit, never before sold, has been refinished in many ways, new carpeting and bamboo floorings to name a few of the updates. Throughout the townhome, there is plenty of light coming though each windowpane, and as well recessed lighting has been installed throughout the ceilings. As you enter the unit, you will notice the vast open space that is offered, fitting for both a separate dining and living space. 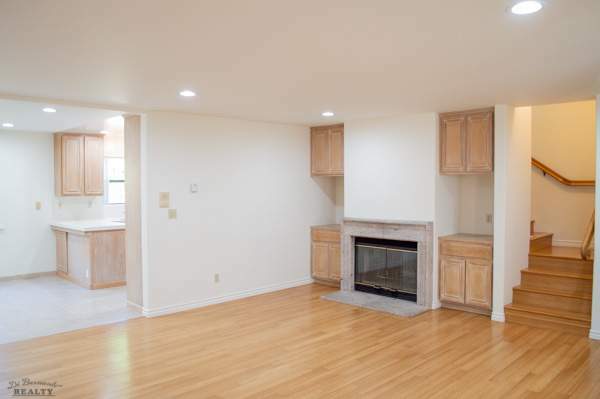 The living area features a fireplace as well as plenty of cabinetry for entertainment storage and open spaces for TV’s and all other electronics. The Kitchen features ample space for all your groceries and as well has a bar length area for breakfast meals adjacent from the main dining area. 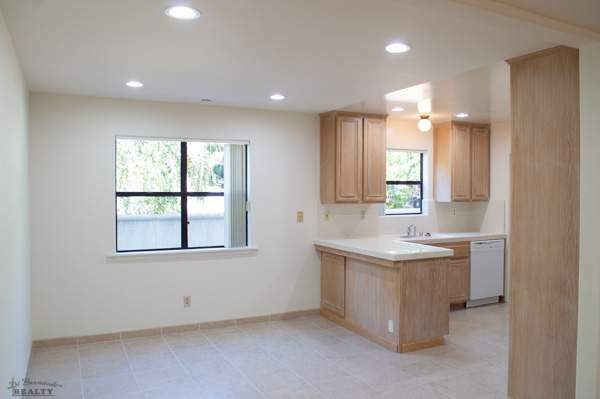 You will have direct access off of the Kitchen area to outside your unit for easy pathways to your garage and storage. Just behind the kitchen are washer and dryer hook ups for a convenient and hidden laundry area. 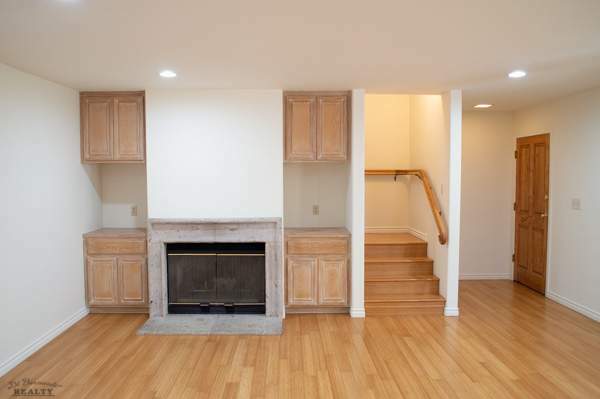 In addition you will find ample storage fitted underneath the staircase to the second floor. 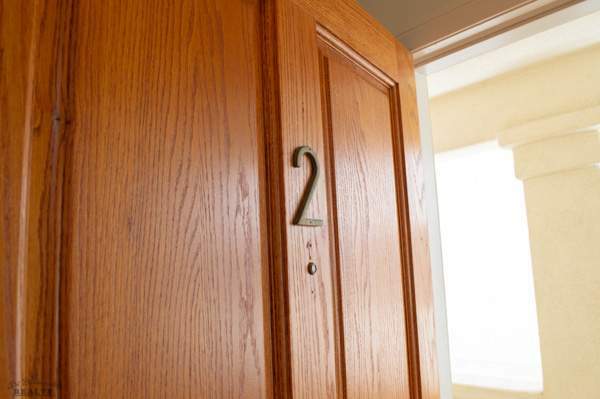 Entering the second floor of the townhome, the first bedroom you will see will be the master. 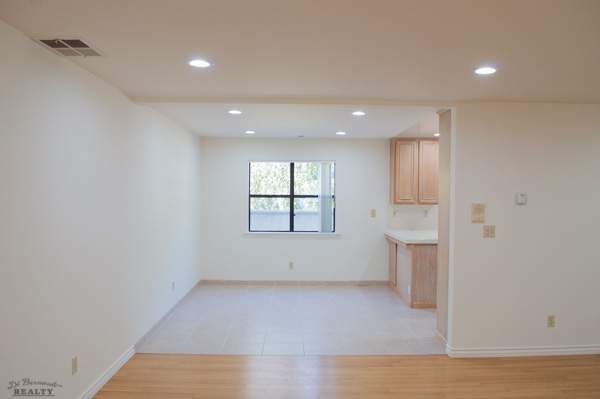 It has ample space for storage with wall length mirrors and ample space behind. 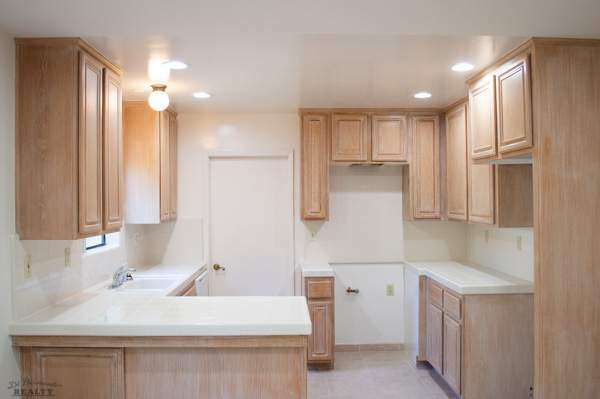 Attached is the master bathroom, which also is fair in size and a complete bathroom. Moving down the hall you will find plenty of cabinetry for all your towels, linens, and much more. Just a bit further down you will reach the second bathroom, which is directly connected to the second of the three bathrooms and as well the hallway. Reaching the last portion of the hallway you will see both of the remaining bedrooms, with one of larger size and as well the last bedroom being the smallest. 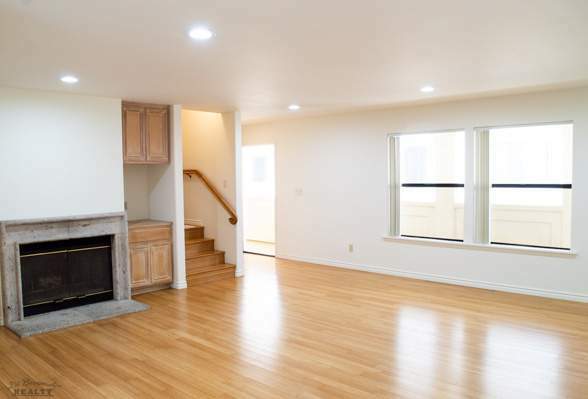 An important note is that this townhome only has one common wall within the community, therefore there should not be too much noise transfer between units; a nice positive for any perspective home owner looking to buy within a community. 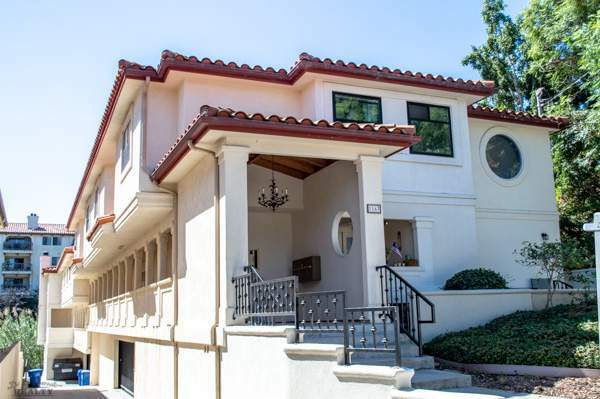 This beautiful mediterranean style townhome community is a one of a kind, and sits in the Prestigious Vista Del Oro neighborhood, it certainly is one of the best valued townhomes in San Pedro. Don’t miss out! This Blog, and or Website, is made available by Di Bernardo Realty for educational purposes only as well as to give you general information and a general understanding of certain topics pertaining to Real Estate and Real Estate Transactions, not to provide specific advice pertaining to Real Estate or specific Real Estate Transactions. By using this blog you understand that there is no relationship between you and Di Bernardo Realty. The Blog, and or Website, should not be used as substituted for Real Estate Advice from a licensed Real Estate Professional. If you are currently working with a Real Estate Professional and have received this, it is not intended as a solicitation.